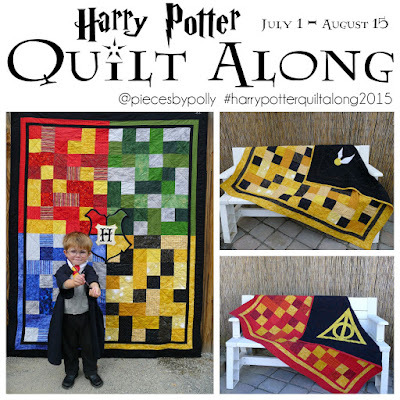 I'm super excited to announce that the Harry Potter quilt patterns are FINALLY here. These quilts have been really popular in my Pieces by Polly Quilts Etsy shop, and I've had lots of requests for the patterns. 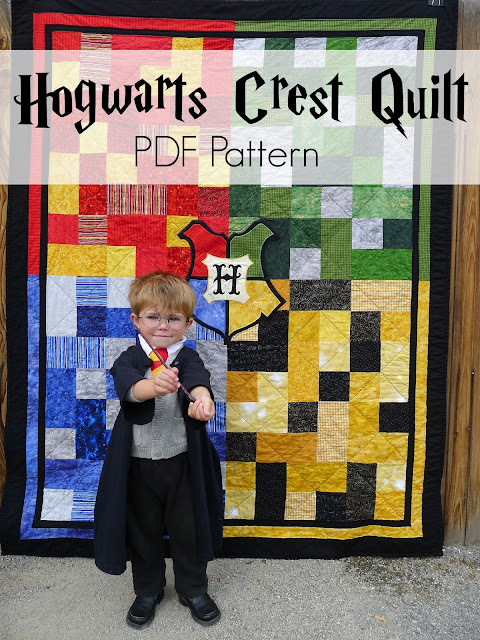 You can purchase the Hogwarts Crest 4-House Quilt Pattern here. 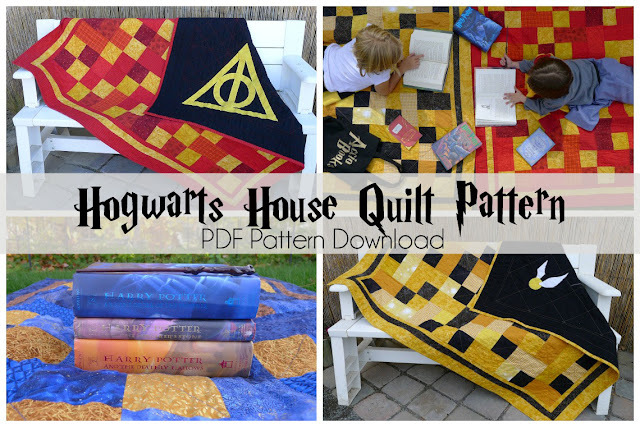 Or you can purchase the Single House Hogwarts Quilt Pattern here. 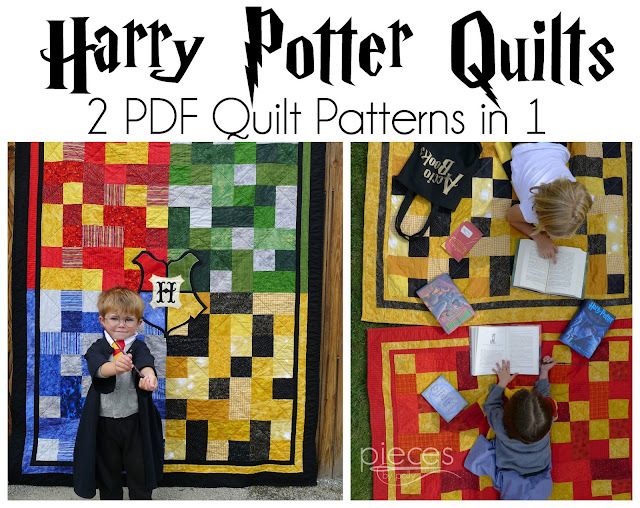 Or for the best value, you can purchase the 2-in-1 Hogwarts House Quilt Patterns here and get both patterns. Both patterns are chock-full detailed instructions and color photographs to inspire and teach you. Right now both of my patterns are in their "Early Release Versions," and are offered at a discount. ($8.50 for single patterns now, compared to $12.50 later. Both patterns now for $10 and later for $15.) The patterns have complete instructions beginning with fabric selection all the way to binding. However, these early release versions only have pictures up to finishing your quilt top, and written-only instructions for the final steps of quilting and binding your quilt. The final versions of these patterns will be released in August 2015 and will have additional pictures to help you with finishing your quilts. Anyone who purchases the Early Release Versions will be provided with the finished version of the pattern when it is available. Go here for more information on the Harry Potter Quilt Along. And as always, if you're not up to making your own quilt, I also sell finished quilts in my PiecesbyPolly Shop on Etsy. Just purchased the three and am about to run out the door. is the applique for the Deathly Hallows included?